Research is conducted at two sites: (1) at the school’s two-story, 32,000-square-foot New Bedford building, with docking facilities on Clark’s Cove, Buzzards Bay, and (2) across the harbor in Fairhaven at the former AT&T building. A 90,000-gallon acousto-optic test tank designed for development and testing of underwater measurement concepts and devices, and as a resource for local academic, government, and industrial researchers and product developers. A seawater room of nearly 2000 square feet with plentiful raw, filtered, heated or chilled seawater. A greenhouse for the growth and long-term maintenance of aquatic photosynthetic organisms under natural light. Three temperature-controlled rooms for long-term behavioral and physiological experiments and acclimation of marine organisms for culture and reproduction. The research vessel Lucky Lady, a 50-foot, diesel-powered research boat. The focus at SMAST is on interdisciplinary basic-to-applied marine sciences and the development of related innovative technologies. In addition to the scholarly marine science and technology communities, the SMAST mission also emphasizes interaction with regional industry, and government and non-governmental agencies on compelling regional marine-related issues and technological development. Scientists and students at SMAST pursue a range of leading-edge research projects, both independently and in collaboration with some of the most highly regarded oceanographic institutions. The Massachusetts Marine Fisheries Institute fosters a cooperative working relationship among scientists, government, fishermen, and environmentalists. Mission: The main mission of the Department of Fisheries Oceanography (DFO) is to deliver quality education to students in marine science and conduct cutting-edge research in the interdisciplinary sciences related to the interactions between marine organisms and the marine environment. DFO’s unique research approach includes field exploration, laboratory experiments, theoretical research and modeling. Students are fully involved in all of these aspects, but they are especially engaged in cooperative research with the fishing industry, a mission that is crucial to the work of DFO and SMAST. The fishing port of New Bedford has been ranked number one in the national in terms of value of landings for the past sixteen years. Cooperative research has been a major contributing factor to that success. 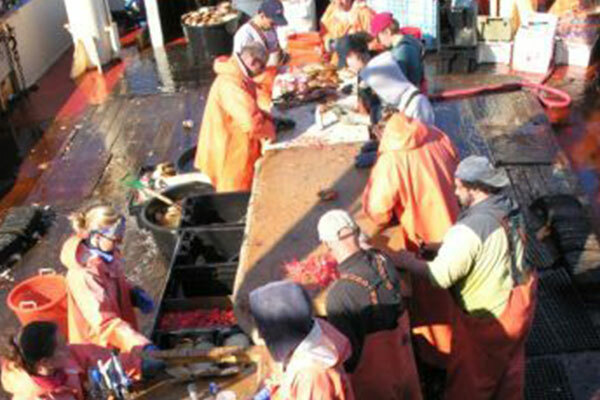 Cooperative research enriches the work of marine scientists with the knowledge and perspective of the fishermen. 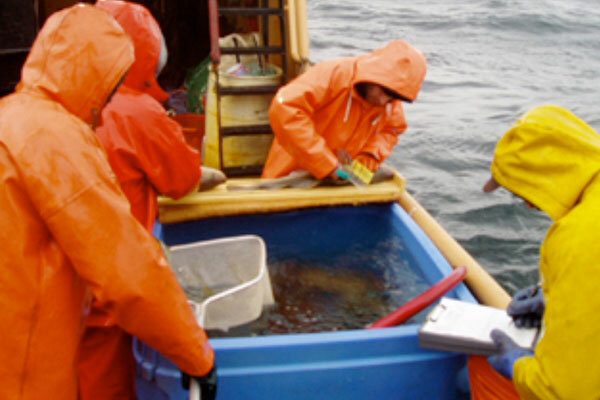 Close collaboration with fishermen alerts scientists to issues important to the health of the industry and the stocks, and enhances scientists’ ability to collect high quality data. For example, the scallop industry has worked extensively with the DFO to develop the world’s largest video survey data-base of the sea scallop resource. Results from the research survey have been used in every management plan since 1999. Cooperative research occurs throughout the DFO through the annual industry-based sea scallop video survey, fishing gear research and design, socio-economic investigations, and research on finfish species such as cod, herring, yellowtail flounder, winter flounder, and monkfish. 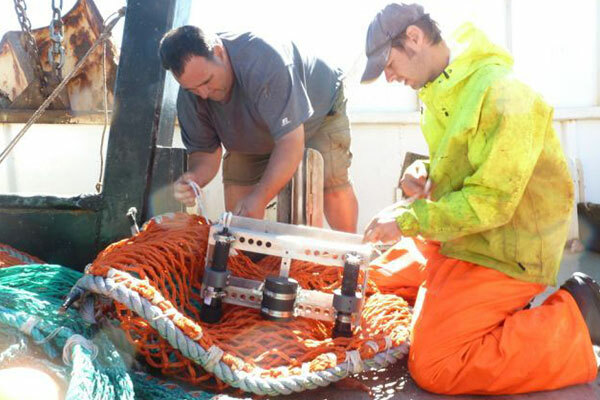 DFO’s purpose is to train scientists in the techniques and theory of fisheries oceanography, with emphasis on stock assessment, population dynamics, physical and biological interactions occurring in the marine environment and ecosystem modeling. Both MS and PhD programs address the growing need for marine scientists in federal and state agencies, as well as academic institutions, and industry. 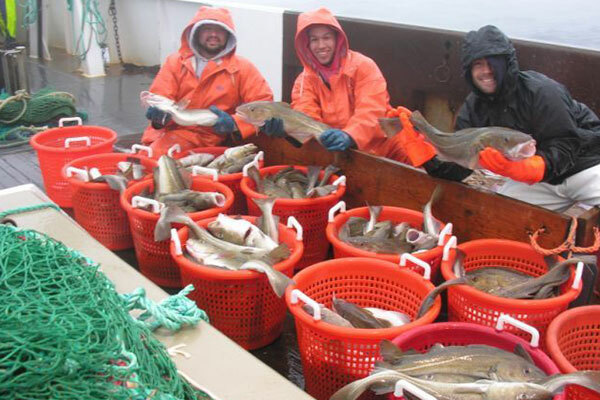 The Marine Fisheries Field Research Group studies the population dynamics of marine fish and invertebrates, including their spatial distribution, abundance, life-history parameters, and habitat. They also study the impacts of harvesting, gear effectiveness, and developing alternative fishing strategies. Since 1999, DFO has completed 138 video cruises surveying Georges Bank and the Mid-Atlantic (>950 days at sea), with support from the commercial sea scallop industry, the Massachusetts Division of Marine Fisheries (MADMF), and the sea scallop Research-Set-Aside program (NOAA grants). The video library contains footage from over 300,000 georeferenced video samples. This unique database covers the entire scallop resource (~55,000 km2) from 2003 through 2011, representing a time series of nine years. Further, it includes numerous video surveys on a finer scale focusing on scallop aggregations primarily in closed areas of Georges Bank and the Mid-Atlantic. The data sets provide assessments of scallop and other macroinvertebrate densities, and sediment and habitat distributions in closed and open areas of Georges Banks from 1999 onward. The data has been used in sea scallop fisheries management plans and the Habitat Management plan. DFO research has also expanded to include lobsters, and by-catch avoidance systems for both scallop/yellowtail flounder and sea herring/river herring fisheries. To date this research has been published in 25 peer-reviewed articles and 2 book chapters. It is the focus of 11 MS and 3 PhD graduate student theses.